The Red Scarf Campaign raises awareness and funds for HIV while also serving communities needs in the winter months. It began in 2012 with staff and volunteers of the Regional HIV/AIDS Connection putting hundreds of red scarves in downtown London and Stratford on December 1st, World AIDS Day. The red scarf was meant as a larger scale version of the Red Ribbon, the international symbol of support for people living with HIV and/or AIDS. Cards were attached to the scarves to explain the meaning behind them and encourage individuals to wear them and spread the information. PARN is organizing the first Red Scarf Campaign in Peterborough and the four counties this year. Donations of scarves will be accepted until November 28th and will be placed in locations throughout the four counties on Thursday December 1st, World AIDS Day. We are looking for individuals to knit and crochet scarves, volunteers to facilitate workshops, and/or local groups to knit and crochet scarves for the campaign. We ask for scarves that are red and approximately 6” by 60” in size, but the pattern is completely your choice! 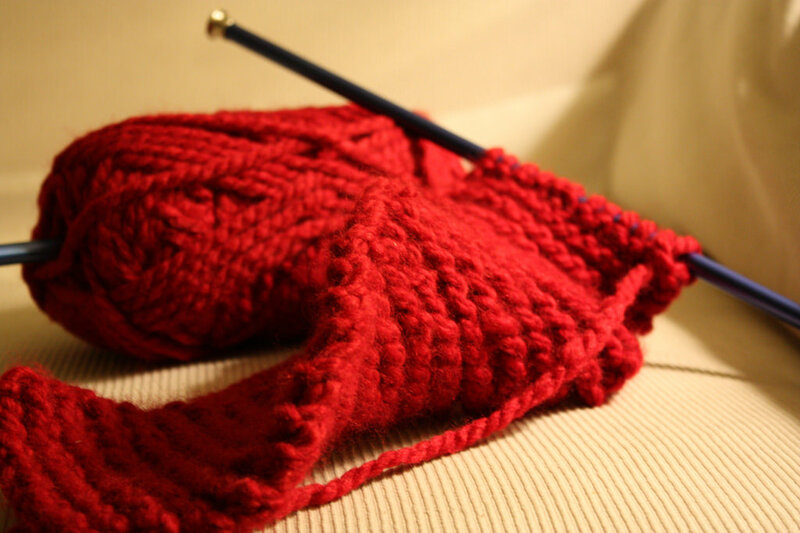 We are also looking for donations of red yarn, knitting needles, crochet hooks, and other supplies.